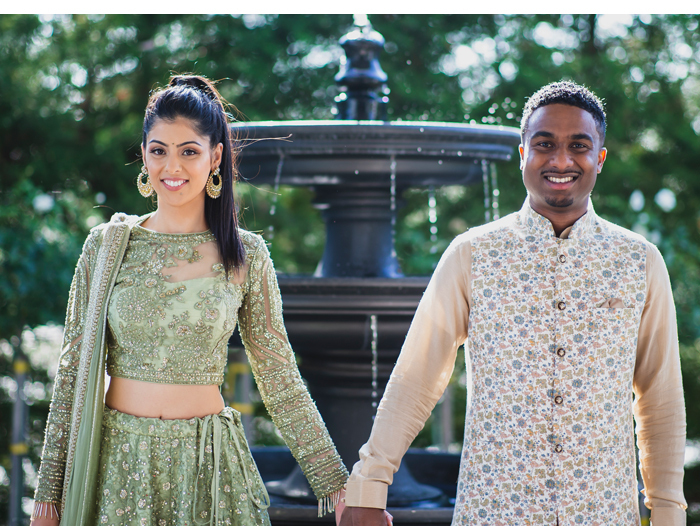 Anshula Khazanchi married Michael Diya in January 2019. She says: “Michael and I met in 2013 at my cousin’s party. She introduced us as we were both starting graduate roles in the same company. Funnily enough, neither of us were initially interested in each other, but our friendship grew over the years and now, more than five years later we’re married! What I love about us is how different we are but how our personalities complement each other, in turn, making us better people. We understand that we both have the other’s best interest at heart and try to learn from each other every single day. Michael’s proposal was beautiful! For a very long time, we discussed visiting the Light House in Cape Schank (about an hour’s drive from where we live). So in January 2018, Michael organised a day trip there as a late anniversary outing. When we arrived, Michael revealed he’d planned a lighthouse tour for the two of us. At the end of the tour, at the top, the tour guide invited us to look at the view and once we were alone, Michael gave me my anniversary gift. He had wrapped up two gifts, one a box, and one that felt like a photo frame. He asked me to unwrap the boxed gift, and when I did, he took it from me saying he forgot I was meant to unwrap the other gift first, so I did. Inside the second gift was a framed poem that Michael had written, titled ‘The Next Chapter’. Once I finished reading, I looked up and he was holding a ring box, which I had just unwrapped. On one knee, he said he meant every word he had written in the poem and asked me to marry him. It was magical. Planning three events and two minor events was a lot to take on, but we wanted to do the planning ourselves. With us both working full time, planning was time consuming but also very satisfying. 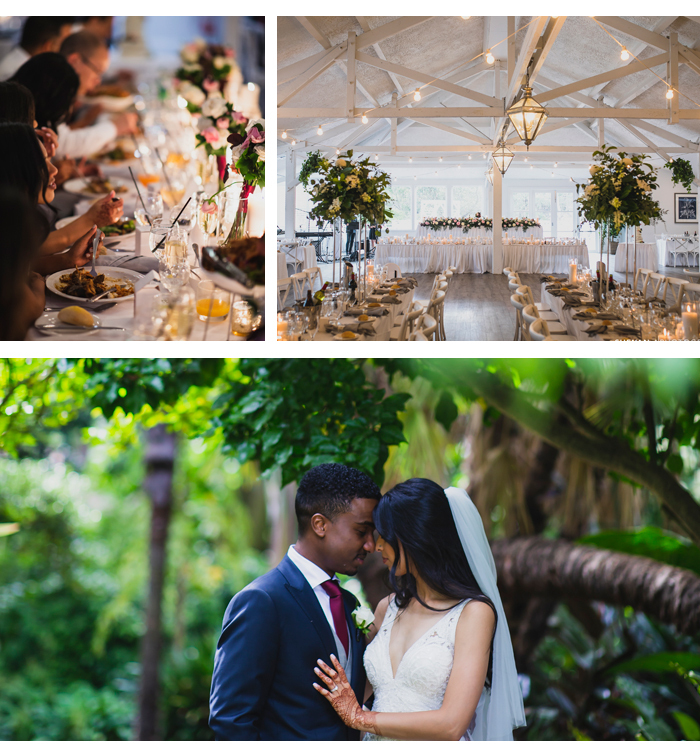 Michael is very creative, so it was the best having him there to assist with the details like the invites, colour scheme and presentation. Having said that, there was also a lot of stress with things like the guest lists, and other admin tasks. We found most of our suppliers were through word of mouth or on Instagram. A big factor was customer service and we gravitated towards people we were comfortable with and who were able to understand our vision. Our reception venue was beautiful, but it was a risky choice! 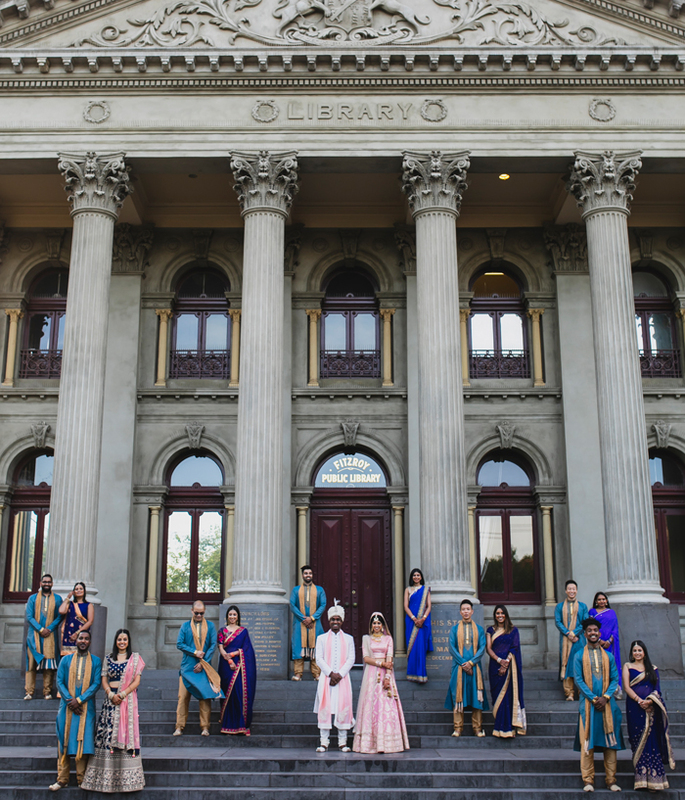 Initially when we were looking for venues, we had a guest list of around 380, and looking for a venue in Melbourne that was in budget and could accommodate everyone was a big task. While searching I enquired about a venue but was told that it was too small for our numbers. However they did tell us about a new venue that was opening in a few months. We met their team and took a tour of the venue. The venue was green and red and it felt like a mammoth task for them to transform it the way they described but we trusted them and they really delivered on all their promises. 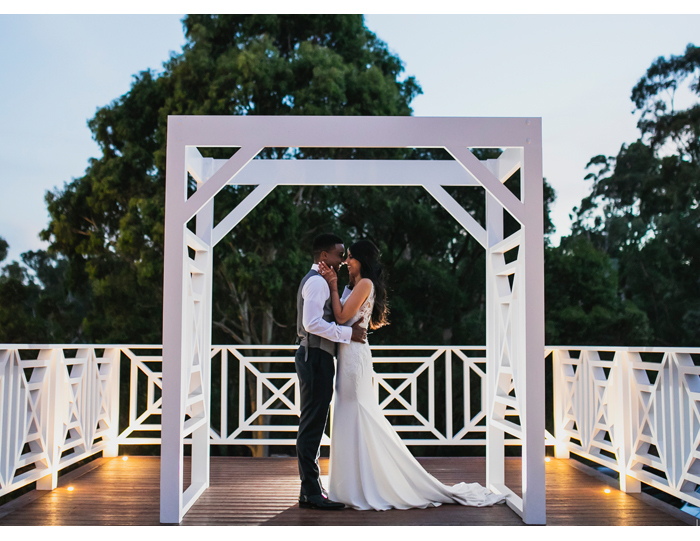 When it the venue had finished renovations it was a stunning Hamptons-style venue that suited our vision perfectly. 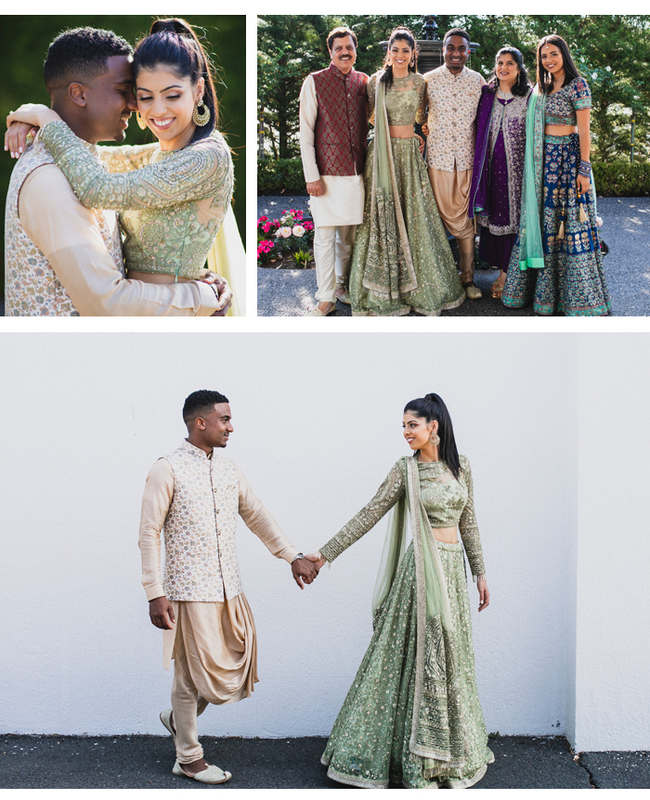 The theme of our Hindu religious ceremony was inspired by our outfits. 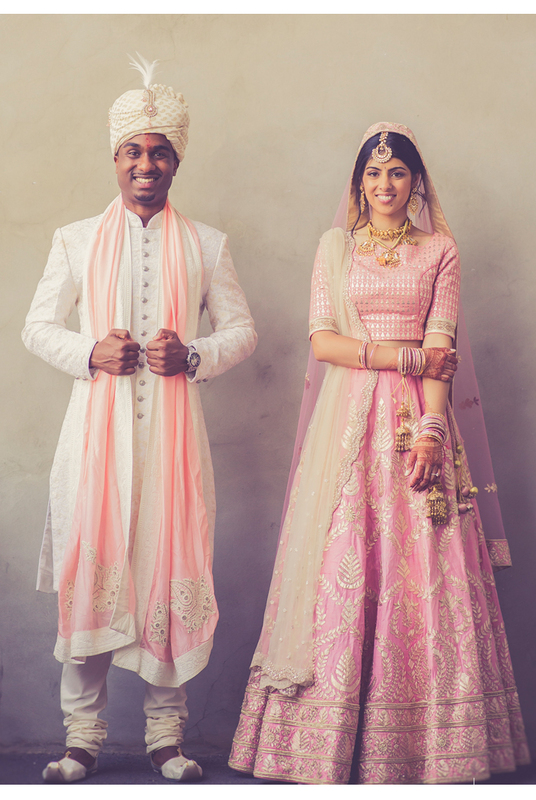 I travelled to India in mid-2018 to select our wedding clothes. 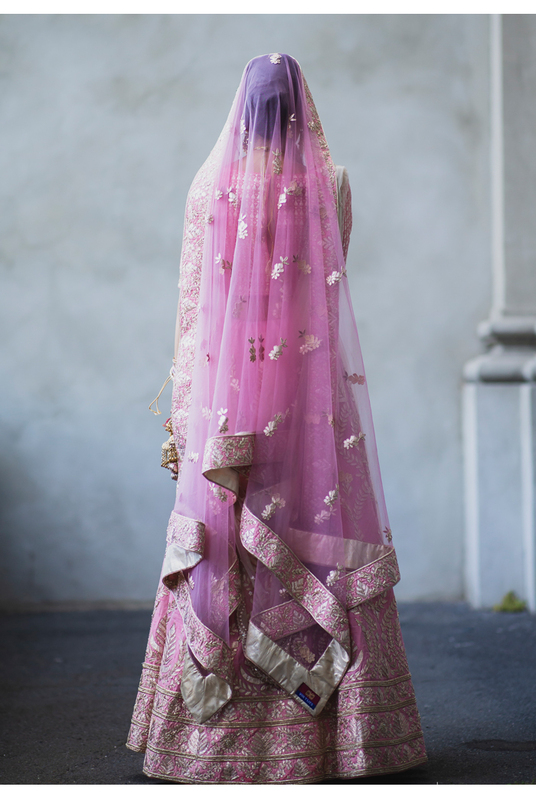 I wanted a light pink lehenga and knew I’d found ‘The One’ as soon as I walked into the store. 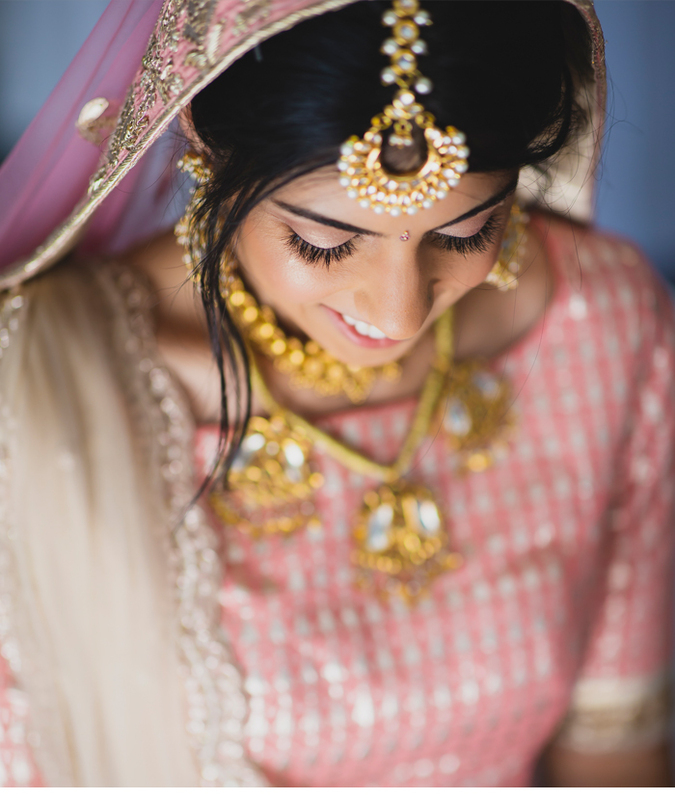 It was an elegant and classy lehenga in the perfect shades of gold and pink. I also knew that I wanted two chunnis, one to cover my head, and another on my shoulder. So in addition to the lehenga’s chunni, I got a custom off-white one to drape over my shoulder. 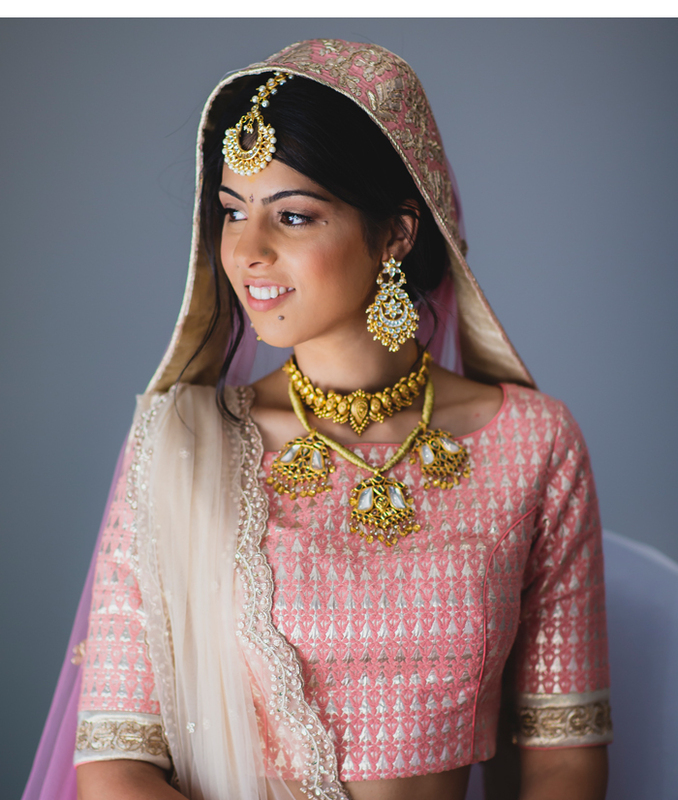 I wore my mum’s jewellery for the wedding, which she had worn for her own wedding, given to her by her mother. It was a beautiful antique gold necklace consisting of three gold kundan pendants held together with black string. We removed replaced the black string with gold allowing it to tie in perfectly with my outfit. 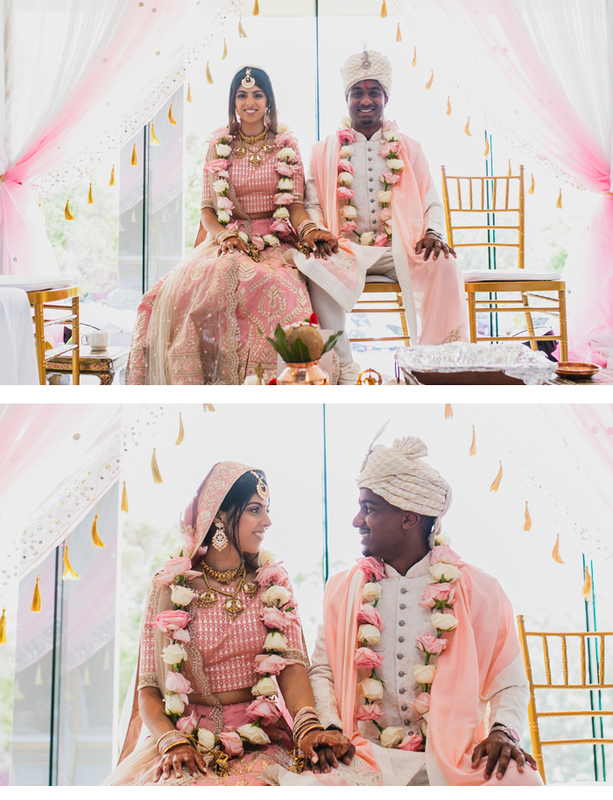 We also had fabric for the mandap in white and pink fabric that beautifully complemented our outfits, and Michael’s auntie very kindly sorted out our table décor. She handmade floral centerpieces with white and pink flowers and we placed a vase and candle in the centre. 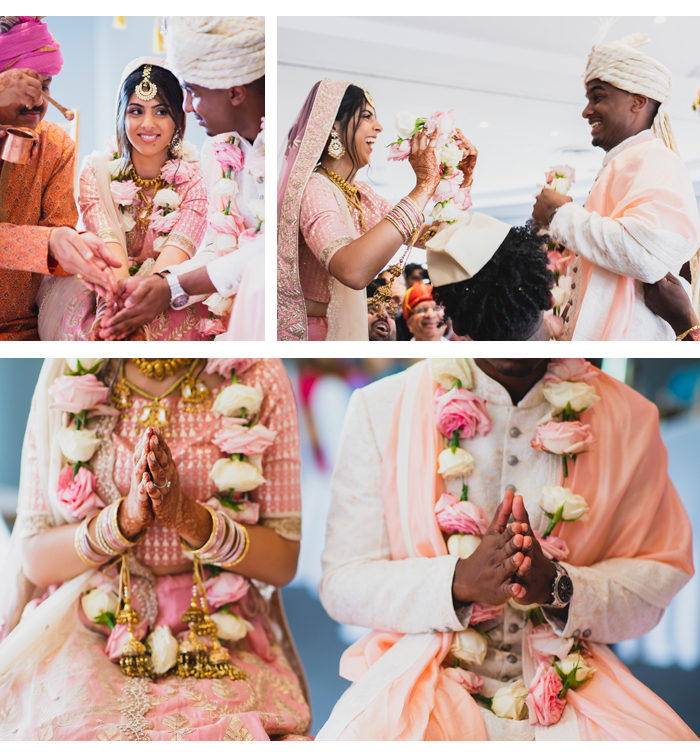 For the Catholic Ceremony and Reception, we kept the same colour scheme from our invites through to the reception. 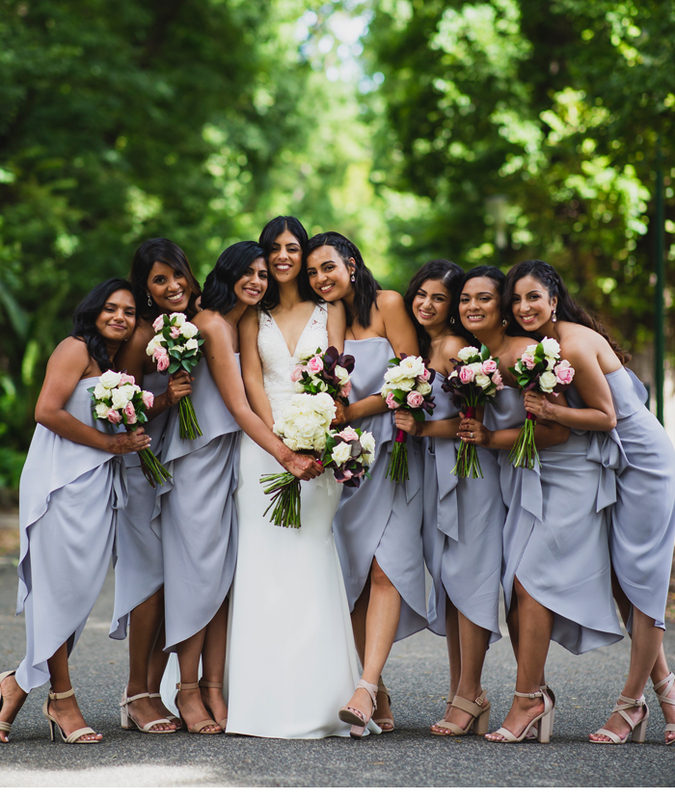 We had grey bridesmaids dresses with white, blush pink roses with green foliage and touch of burgundy in their bouquets. 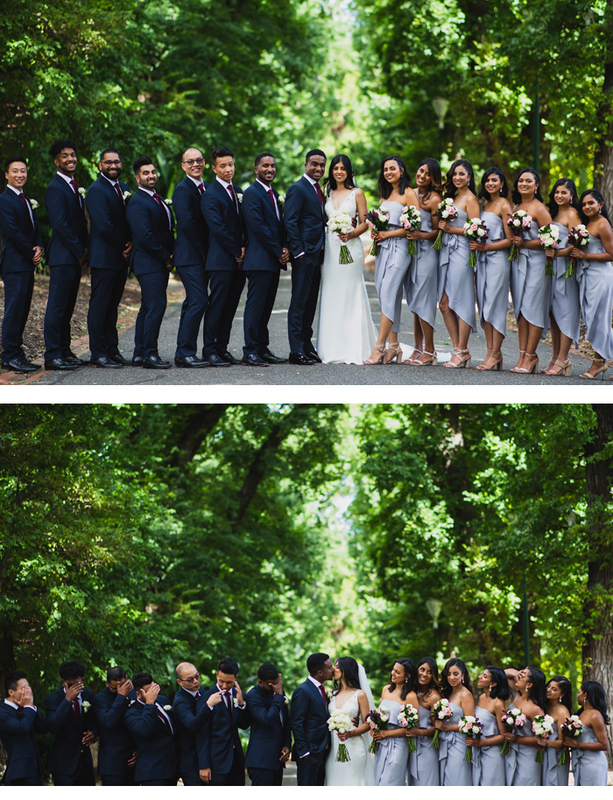 Groomsmen wore navy suits with burgundy and grey pocket squares and ties to match the girls! 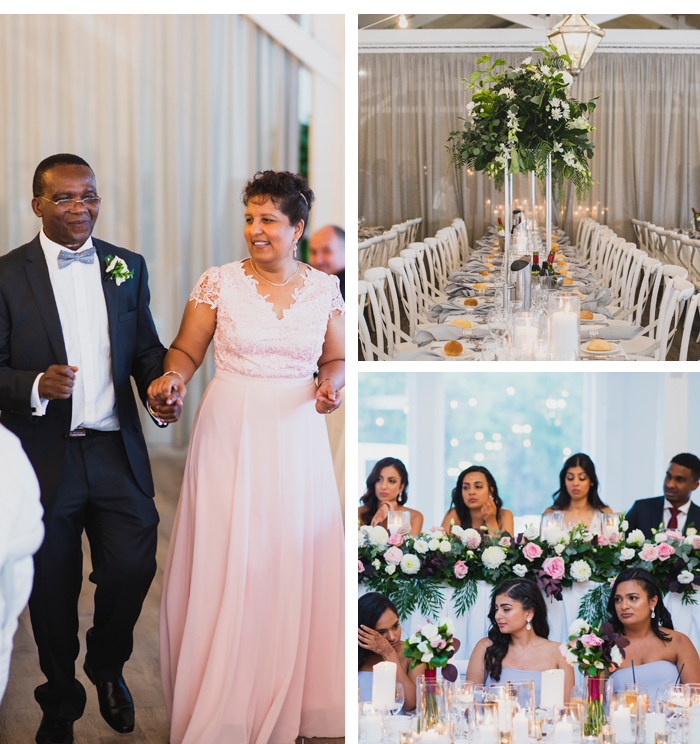 Our invites and reception décor also echoed the same colour palette. 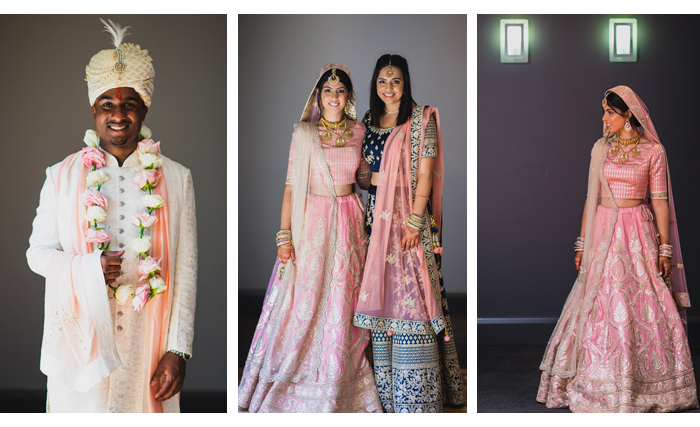 We were initially a bit worried about the number of colours we had (white, grey, blush pink, burgundy and green) but we think it really worked well and we’re so happy with the final result. We hired an amazing calligrapher who handwrote all of our invitations, and to tie that into our reception, we asked her to handwrite everyone’s place cards on the tables too. 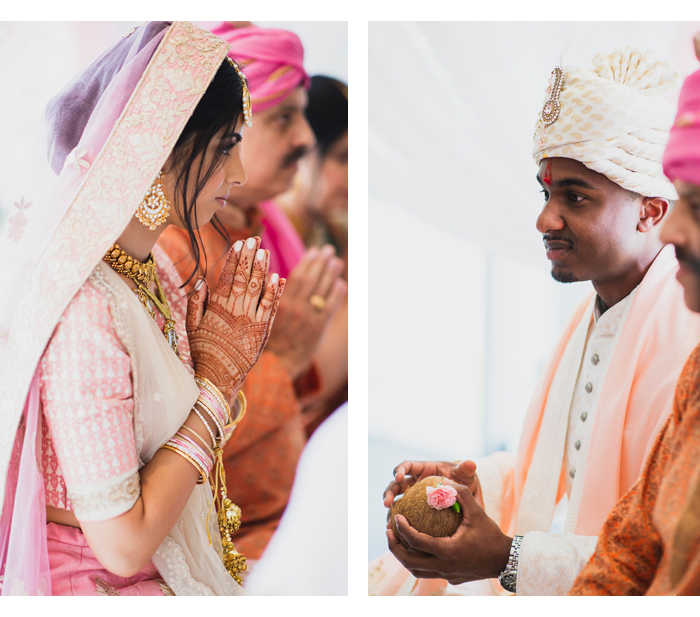 The Hindu ceremony was held at the Manningham Hotel, close to where we live. 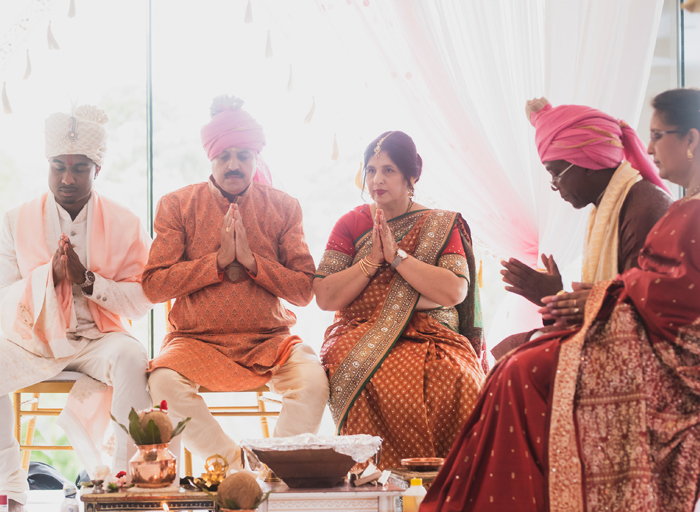 We had both the registry and the religious ceremony on that day. 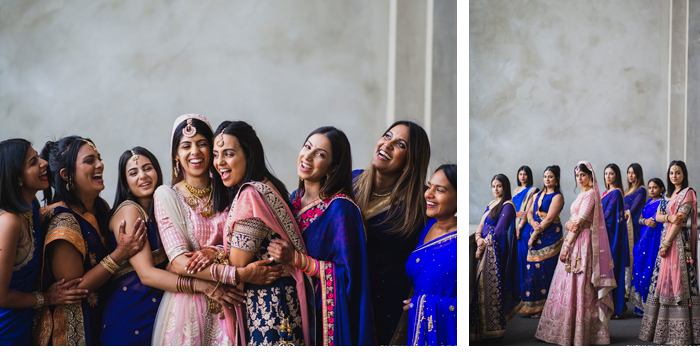 I made my bridal entrance with my male cousins and my bridesmaids. I was extremely nervous before walking in yet so excited to see Michael. The most significant moment for me was the Jai Mala. It’s something I’ve dreamt of since I was a little girl, and it really was as fun as it looks. 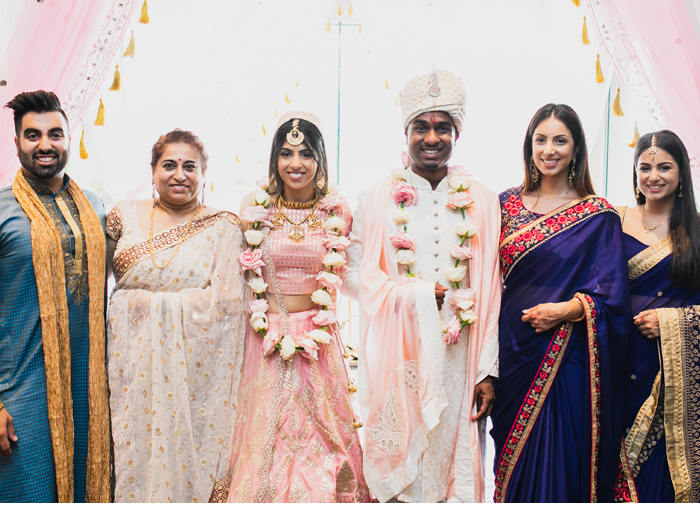 The Catholic ceremony was held at Michael’s local church, Resurrection Parish in Keysborough. Although I am not a Catholic, I have also dreamt about having a Catholic ceremony since I was small. More than that, I knew that this was a big moment in Michael’s life, and us starting our lives together. 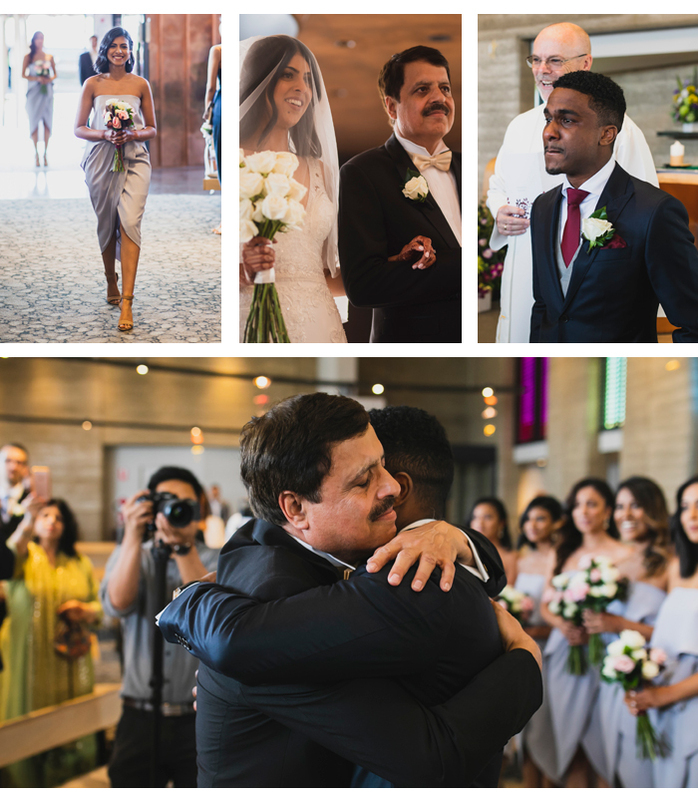 We both welled up as soon as we locked eyes on each other as I began walking down the aisle with my dad. It was a moment we had both looked forward to for so long that when it finally arrived it was pretty overwhelming. 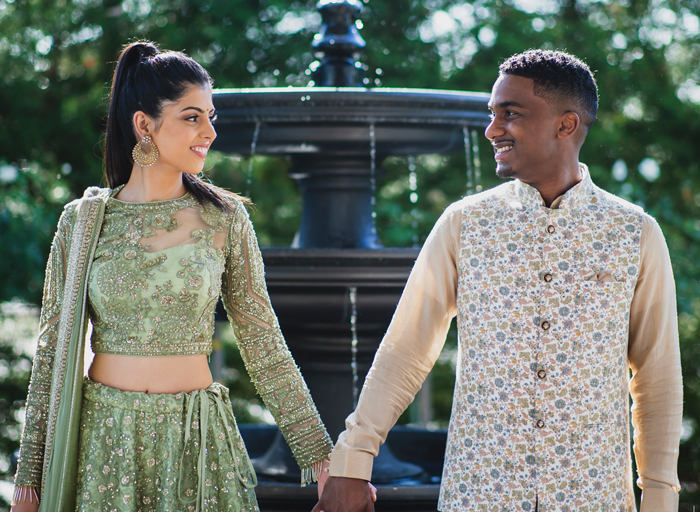 At that moment, it’s no longer about what we are wearing, or the decorations but the friends who are there witnessing this moment, our parents and the family who have been such big pillars in our relationship, and seeing your partner and the love they have for you in their smile and their eyes. The feelings that we felt were so indescribable. Seeing the man I get to spend the rest of my life with, the one I will grow old with, and build a family with standing there waiting for me, is a feeling I’ll never forget. 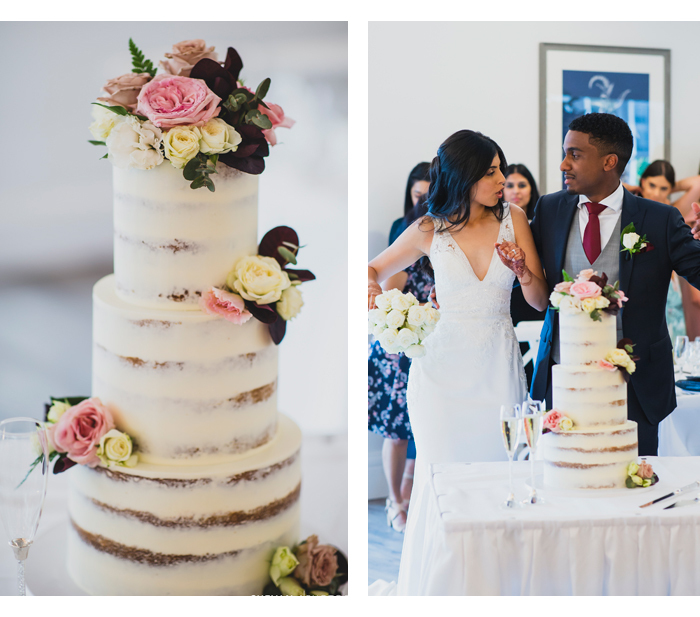 The cake was a three tier, semi naked cake made by Burnt Butter and decorated by our florist Levian. Each tier alternated between coconut white chocolate and lemon white chocolate flavours. The cake was probably one of the highlights as it both looked good and tasted delicious. 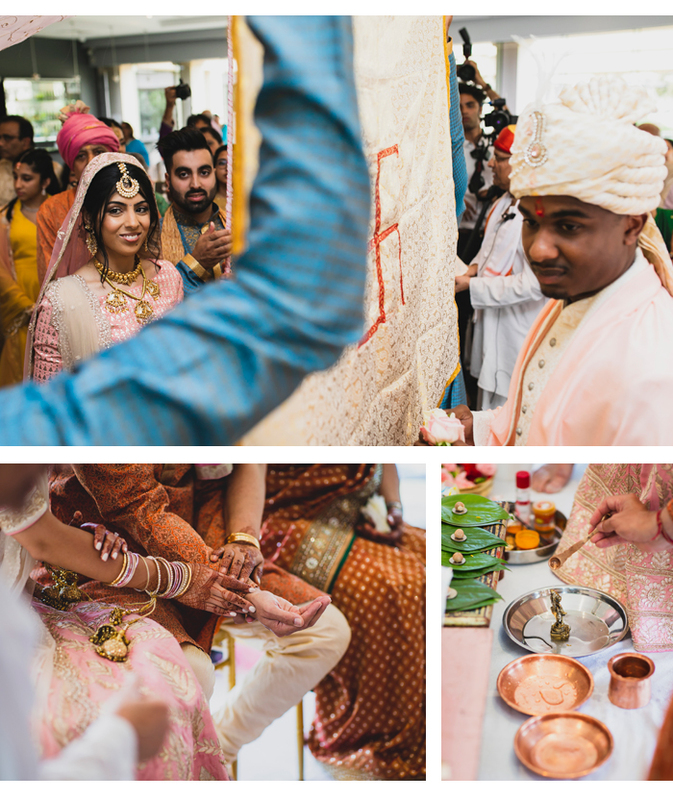 Our photographer and videographer were chosen based on their portfolios and recommendations. Another big thing for us was the relationship we had with them. We tried not to dictate what the end product should be, instead encouraging them to have creative freedom. We trusted their skills and expertise. Their work has been outstanding and everything was so beautifully captured. We couldn’t have asked for better people to capture our wedding week. Our reception theme was about bright lights and natural greenery. Our reception venue had amazing views and open windows along with a new renovated deck that overlooked an incredible view. We decked out the venue with candles and tall white and green centerpieces. We had a double-tiered bridal table and so we really wanted that to stand out. We added florals that followed our theme and our bouquets and then as many candles as we could fit! Throughout the celebrations we both wanted to make sure we honoured our backgrounds, cultures and religions. We wouldn't be who we are today without them. As a part of that, we also changed into traditional Nigerian wedding outfits towards the end of the reception. After changing, we surprised the guests and entered again to one of our favourite Nigerian songs. It was really special to both of us that we had the opportunity to embrace these pillars of our upbringing. Before the ceremonies and reception, it felt surreal. Even now, it all feels like a dream but an amazing one at that. The big moments for both of us were both the ceremonies. 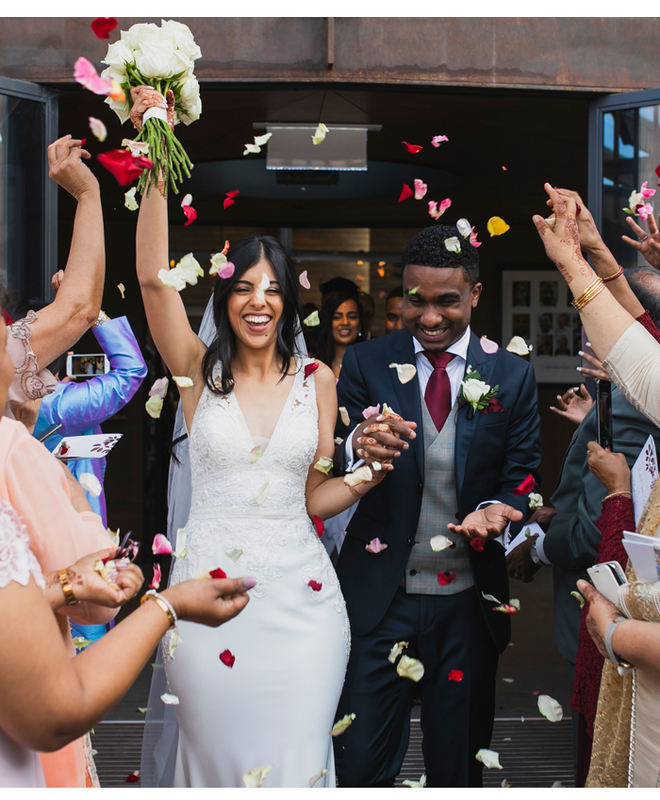 We truly believe and felt God’s blessings with how well both the ceremonies went and they were the most important part to us. 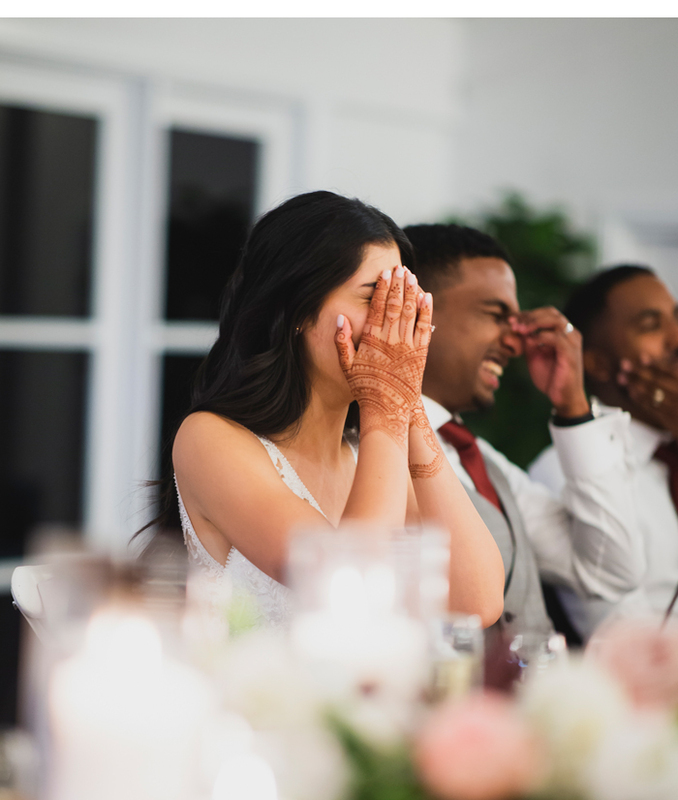 My advice to brides-to-be? The planning process may be stressful, but it will all come together on the day. Make sure you live in the moment regardless of any issues that occur. Something will most likely go wrong but on the day, but it won’t matter. Just enjoy your wedding day.